Happy Tuesday, Guys! 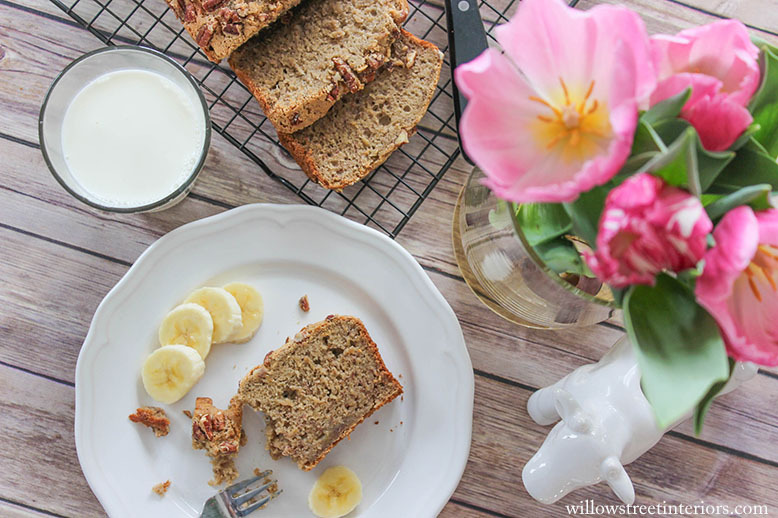 Ayla and I had a little time to kill this morning, so I decided to make one of our favorite, healthy (ish) gluten free banana bread recipes with her today. 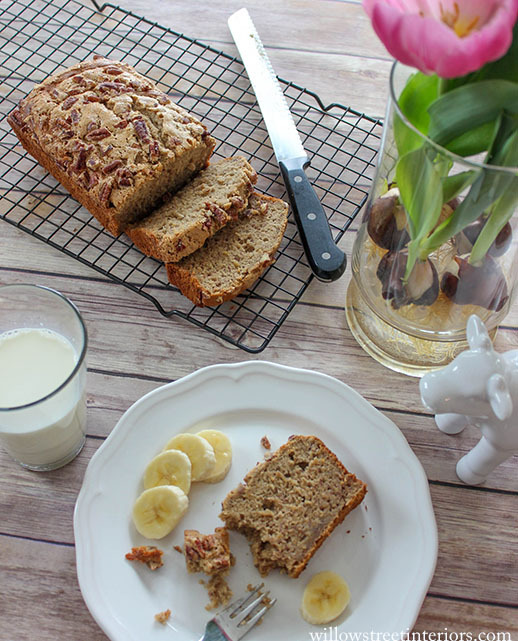 I say healthy-ish, because how healthy can banana bread actually be? 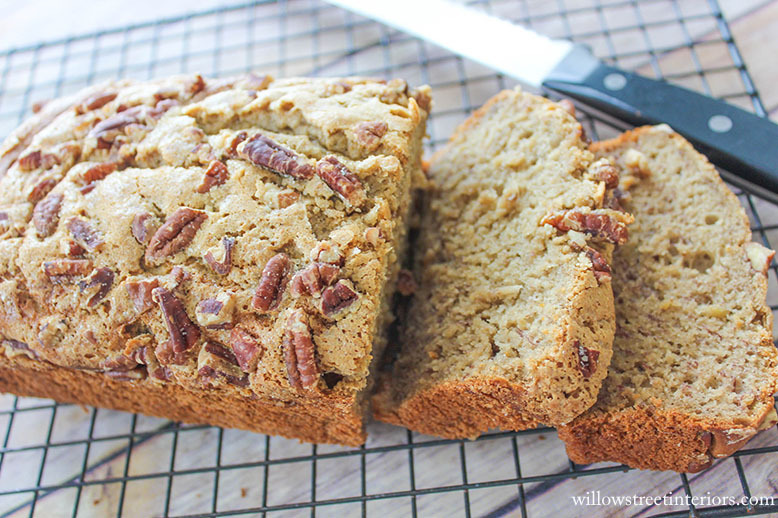 But this recipe makes two big loaves, only has 3/4 cup of sugar in it, is easy on your tummy because it’s gluten free, and only calls for 1/3 cup of oil for the entire recipe. Not bad for the amount of banana bread it makes, if you ask me! In a large bowl, combine the flour, baking soda, cinnamon, ginger, and salt, set aside. 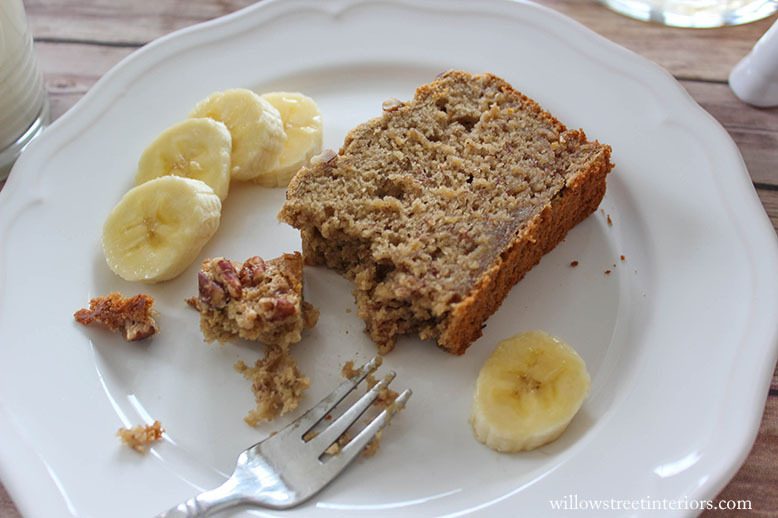 In a small bowl, whisk the eggs, bananas, sugar, applesauce, oil and vanilla. Stir into dry ingredients and mix well. Transfer to two 8-in. x 4-in. greased, loaf pans. 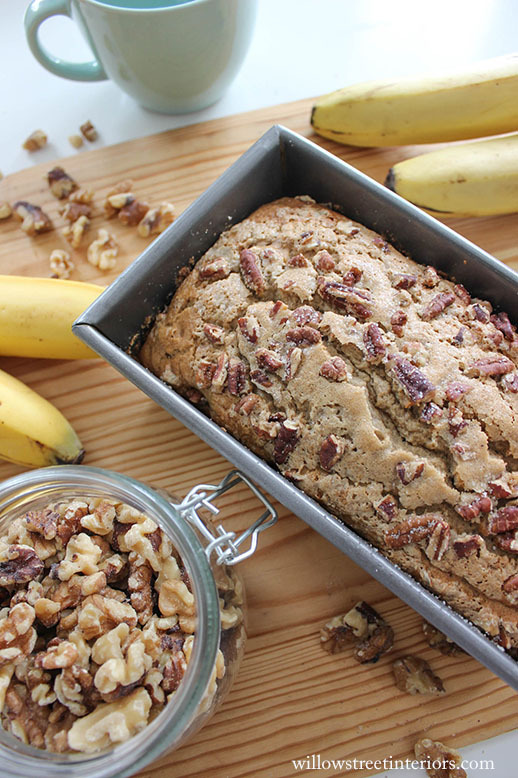 Sprinkle with walnuts and a little sugar. Bake at 350° for 45-55 minutes or until a toothpick inserted near the center comes out clean. Cool for 10 minutes before removing from pans to wire racks. Yield: 2 loaves (12 slices each). This is perfect timing! I have some overripe bananas that I need to use 🙂 My gluten free son is going to be thrilled. I make him gluten free treats all the time and our whole family really enjoys them. Thanks for sharing this one!